This week’s episode, “Internment”, showed us that a few pieces of lumber aren’t enough to hold down a wire fence and that Herschel really wants some spaghetti. Herschel has been selflessly and somewhat naively helping out the sick. He makes his rounds with his medicinal tea and the occasional IV or chest pump for those that need it the most. Is he stupid for doing this or is he doing what he has always done as a medical professional? It’s in his nature to do so, but the question still remains why hasn’t this old man gotten sick yet? 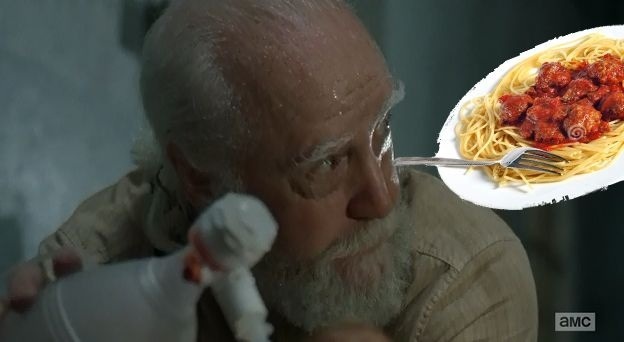 In order to keep Glenn and Sasha’s mind off things, he tells them that he wants to implement spaghetti nights on Tuesdays, if they can find some. The days of sitting around the table, enjoying dinner together, even like he did on the farm with his hoard of walkers in the barn, are distant memories at best. Herschel quotes John Steinbeck and says “A sad soul can kill you quicker, far quicker, than a germ, “he knows that he must keep up some optimism in this dismal camp or more people will lose hope. We see that Herschel in a sense is the patriarch of the clan, the rock that is steady and can be counted on. Just like Steinbeck set out to rewrite the world he saw, Hershel too looks to envision the world he now lives in. Carl also hinted that he has not had the sickness and most likely will not. Do some people have an immunity built in for some reason? The question still remains on that or I may be just looking into it too much. Rick tells Maggie about how he left Carol and she agrees with his decision. After everything she has done for everyone, Maggie can’t find it in her heart to even care. More and more the characters we saw as still having a heart are losing that bit of familial love. Inside the cells, madness ensues as the sickly start to turn. Lizzie saves Glenn from the newly turned zombie by luring him away and calling for him like a sad little puppy. When he lunges for her, Herschel saves her by throwing him over, but realizes that the zombie still has the chest pump stuck to his body. A gripping fight erupts and Maggie busts in a la Terminator style and shoots him dead. Herschel gets the pump and starts to use it on Glenn. Maggie cradles him in her arms and we can only hope at this point that the medicine will save him. I nearly started crying when I saw this; I really do not want Glenn to go away. We have grown close to him, just like Carol leaving the troop made me upset, seeing Glenn nearly die was heart breaking. Meanwhile, Rick calls for Carl’s help to reinforce the fence. To no avail, the zombies push and the fence is coming down. They gather their ammo and guns and they duke it out father and son style against the zombies. Carl saves Rick’s life and he no longer has to ask permission to kill zombies. Carl is shaping up to be a leader, one that can outlive the whole bunch with his skills. As much as I thought Carl was annoying in the beginning, especially wearing his dad’s stupid hat, he is becoming more likable and I can see him having to make the decisions his dad can’t make. Does this mean Rick will send him off in a Subaru filled with supplies, like he did Carol? The mini-van rolls up and the crew comes back with the medicine. 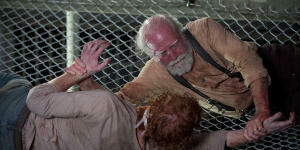 Immediately, Daryl asks where Carol is and Herschel tells him to go talk to Rick. Like I said before, this will not go over well with Daryl. I doubt that he will step back and let this ride out. In true Walking Dead fashion, the last scene shows us that someone is watching the camp from afar. 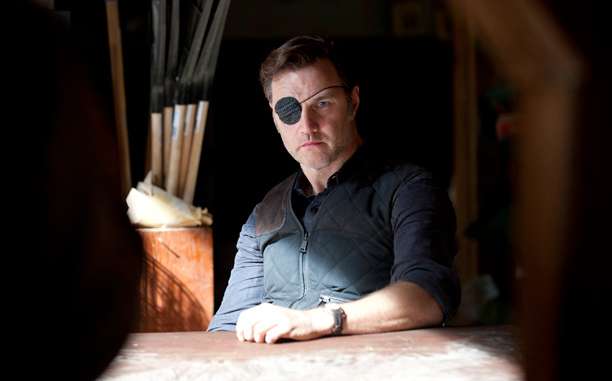 The governor is back and he means business. 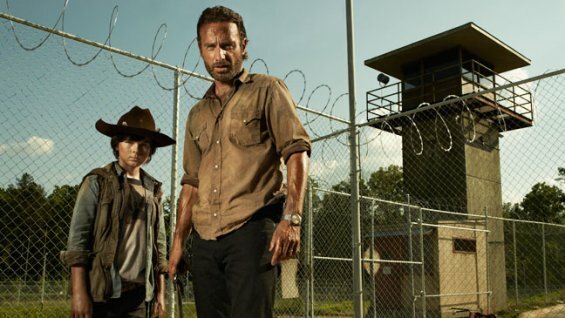 Will Michonne and the Governor each get their respectful revenges? Will Daryl go cray on Rick? Is Carl the one to watch?